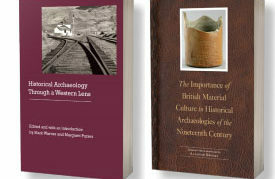 The information on this page is adapted from the society’s Careers in Historical Archaeology brochure. Download a copy of this pamphlet: SHA Careers. Are you interested in archaeology and history? You might want to consider historical archaeology as a career. Historical archaeology is the study – through the use of material and written evidence – of people and cultures that existed during the period or recorded history. The historical period spans several thousand years in parts of the Old World, and sometimes no more than a few hundred years in the Western Hemisphere. Historical archaeologists focus on sites – the physical remains of past human activities–dating to this time span. These sites include cities, villages, ranches, isolated homesteads, farms, plantations, and campsites; native and ethnic settlements; churches, missions, and meeting houses, and cemeteries; logging, mining, and railroad camps; trading posts; submerged sites and shipwrecks; military forts, encampments, and battlefields; and dumps and trash scatters. Artifacts – the material remains used by archaeologists to reconstruct past behaviors – will be recovered from all of these sites. What distinguishes historical-period sites from those referred to as “prehistoric” is the presence of written records dating to the time the site was in use. Sources one might study include treaties, explorers’ accounts, tax records, probate inventories, letters, diaries, and old newspapers and maps. The practice of historical archaeology requires that the methods of archaeology, history, and anthropology be combined. Other allied fields of study include maritime history, historical architecture, ethnohistory, and American Studies. Historical archaeology in the United States began developing in the 1930s in response to the need for both material remains and documentary evidence to restore and interpret sites important in early American history, including Jamestown, St. Augustine, and Plymouth. Colonial Williamsburg had one of the first departments of historical archaeology in the mid-1950s, and by the 1960s a few North American universities were offering courses in the subject. Today many colleges and universities have graduate programs in historical archaeology, and field has emerged as a discipline in its own right. The primary North American organization for historical archaeologists is the Society for Historical Archaeology (SHA), which has grown from fewer than 20 members in 1967 to over 2,000 as of 1995. The SHA publishes the journal Historical Archaeology and the SHA Newsletter, and sponsors an annual meeting held in locations throughout North America. The conference and the SHA Newsletter are sources of job information and professional contacts. “Why bother with artifacts if you have written history?” Most documents deal with the rich and famous, rather than “average” people and their daily lives. If just the written record is used to explain the past, it only tells part of the story. Documentary sources are often incomplete and focus on public, rather than private behavior. The archaeological record, on the other hand, is more “democratic.” Refuse discarded by rich and poor alike is equally preserved. By recovering and studying what people threw out, left behind, and lost, historical archaeologists reconstruct aspects of life such as what people ate, how they built and furnished their homes, what they wore, how they interacted with the physical environment, and the activities of children as expressed by their toys and games. These topics are rarely discussed in traditional “histories,” and historical archaeology is often our only means of “balancing out” the picture. The world as it exists today is a product of our collective “pasts.” Historical archaeology not only adds to our knowledge of mainstream North American culture history, which has its roots in the European traditions of the peoples who came to conquer and colonize, but can provide information on social groups under represented in the historical record. Often referred to as “people without history,” these include historic Native Americans, Asians, Africans, religious groups, women, and children. Available histories of these groups are rarely written from their points of view. Historical archaeologists combine information from excavations and historical research with that collected from descendants of the peoples they study. Interviews with persons having specific knowledge of a time period, event, process, or place form the basis for what is known as “oral history.” When the details of life as understood through material remains are combined with those revealed through documents and oral accounts, the result is a richer and more complete understanding of the past, even if it does contain some contradictions. The use of independent sources of information about the past allows archaeologists to combine scientific and historical methods to create the most accurate interpretation possible. The analysis of artifacts from historical-period sites requires an understanding of the emergence of the modern world economic system that had its beginnings around A.D. 1400. 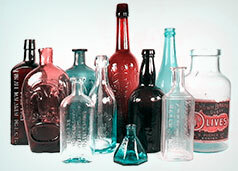 One of the major impacts of a global economy was the worldwide availability of new kinds of goods because of advances in technology and industry. The kinds of artifacts most often analyzed by historical archaeologists include ceramic tableware and cooking vessels, glass containers, nails and other metal items, buttons, and beads. Studies on special kinds of remains found in refuse deposits at archaeological sites provide additional information on the daily lives of men, women, and children who lived in the historic past. For example, to understand more about past dietary habits, archaeobotanists study plant remains, while zooarchaeologists study the bones of animals that were used for food. Conservators are specialists who work with archaeologists to analyze, identify, and preserve the objects found on sites. When artifacts are buried, they undergo chemical and physical changes as they interact with the surrounding soils and the environment. 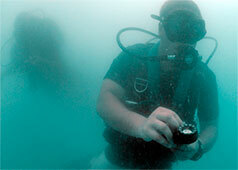 These changes are often particularly extreme in underwater conditions. Historical archaeology is rapidly expanding as a discipline, and career opportunities are steadily increasing. One reason is that awareness is awareness in our own society of the importance of cultural and historical resources. Another is that historical archaeologists are in a position to make unique contributions to our understanding of the recent past. Historical archaeologists focusing on both terrestrial and underwater sites are employed in universities and colleges; local, state, and federal agencies, historical societies, museums, and restoration programs; and in private archaeological consulting firms. Most jobs with career- advancement potential in the field a Master’s degree, although some are available for those with a Bachelor’s degree. An average of two years of postgraduate work is required to obtain an M.A., while Ph.D. degree requires additional years of study. Much research on historical-archaeological properties is done to comply with state and federal legislation that protects prehistoric and historic-period resources, including archaeological sites, historic buildings, and shipwrecks, as well as properties important to contemporary Native Americans and other groups. Many laws and regulations require that sites be studied by qualified archaeologists before they are impacted or destroyed by development. Much of this work is conducted by historical archaeologists in state and federal agencies and private companies, who often work closely with historians, historic architects, planners, conservators, and museum curators as they carry out their research. A partial list of potential agency employers is included here for your reference. Starting salaries in the field vary widely. Estimates given here are based on 1995 U.S. averages. College and university teaching and research positions range from $25,000 to $40,000, and a Ph.D. degree is usually required. Positions with federal agencies are similar or slightly higher, with opportunities for those with M.A. degrees as well as Ph.D.s. Starting salaries for positions with state and local agencies (at the M.A. level) range from $18,000 to about $30,000. Salaries in the private sector are more difficult to estimate, but probably follow the trends noted for teaching and agency positions. Most permanent positions require at least a Master’s degree, with specialized training in historical archaeology. Training programs are usually within departments of anthropology, but occasionally can be found in other departments. A list of graduate programs in historical underwater archaeology is provided below. To prepare for graduate study in historical archaeology, students should pursue an undergraduate degree with a broad liberal arts base in the social and natural sciences. 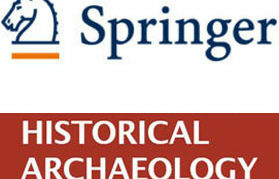 Because of the interdisciplinary nature of historical archaeology, the student should take courses in a wide range of academic subjects like anthropology, archaeology, history, American studies, and folklore, and obtain practical training in subjects such as writing, foreign languages, photography, drafting, surveying, computer applications, business and management skills, and historic preservation. 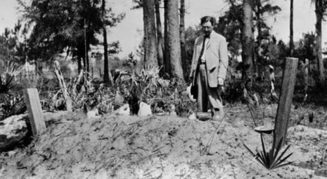 Historical archaeologists must also be trained in the methods historical research and fieldwork and in the ethical considerations of each. They should also understand the basics of artifact conservation, curation, and collections management. Historical archaeologists must also be able to identify and date the incredibly varied material remains found in historical-period sites – which are very different from materials found at prehistoric sites-and be able to place them in the cultural system of which they once ere a part. The ability to write and think is clearly essential, as the results of archaeological search must be communicated to both the archaeological profession and the general public. Underwater historical archaeology also requires a knowledge of shipbuilding and navigation, diving methods and safety, and maritime culture and history. 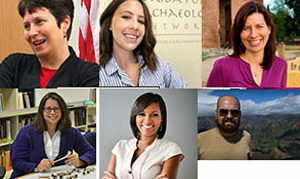 If you are interested in historical archaeology, whether you are a student in high school, college, or graduate school, consider volunteering whenever possible at local museums, academic departments, historical societies, and other organizations and participate in archaeological field schools, excavations, and internship programs to gain hands-on experience. Volunteering will expose you to the realities of the discipline and also will help to build your resume. Please see the Guide to Higher Education in Historical and Underwater Archaeology.